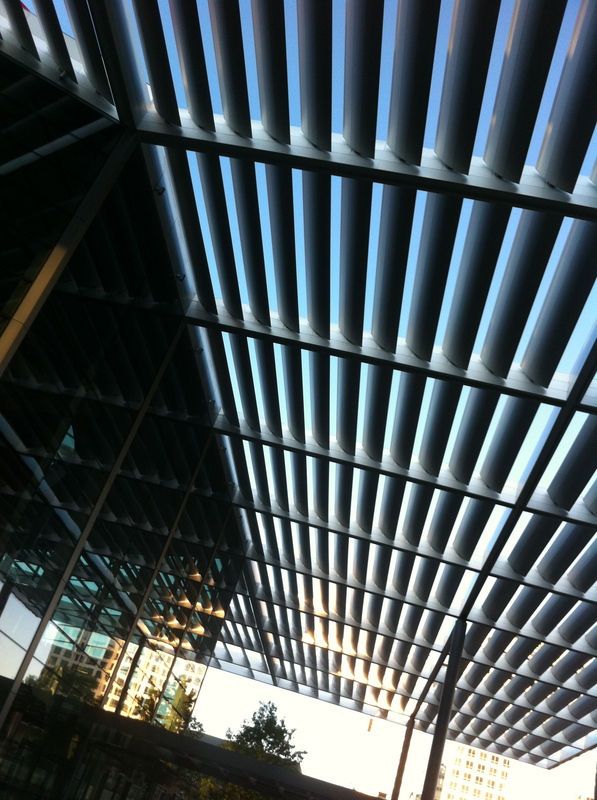 A couple of weeks ago, I spent a lovely evening, thanks to the great folks at Knoll, taking a tour of the Dallas Arts District led by the Dallas Center for Architecture. 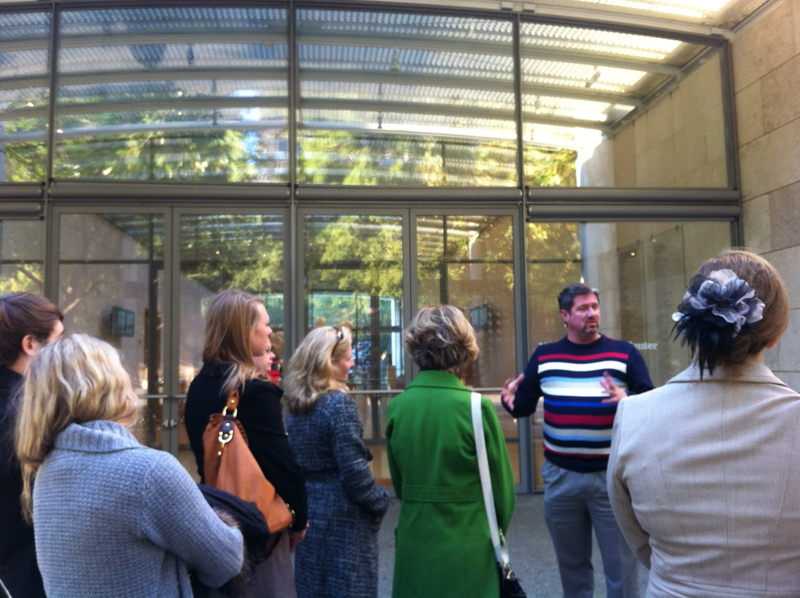 The DCA offers public and private tours of downtown Dallas architecture–they are a great resource and I learned a lot about an area I’ve lived/worked in/near for my entire life! We started outside the Dallas Museum of Art at the Flora Street entrance (that I have personally never stood outside of). 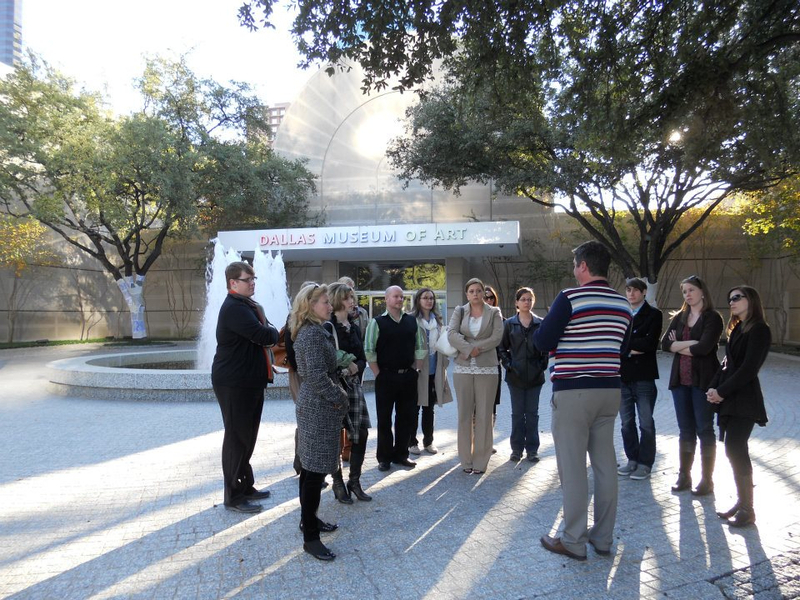 The DMA opened in 1984 and is one of the bookends of the Arts District. 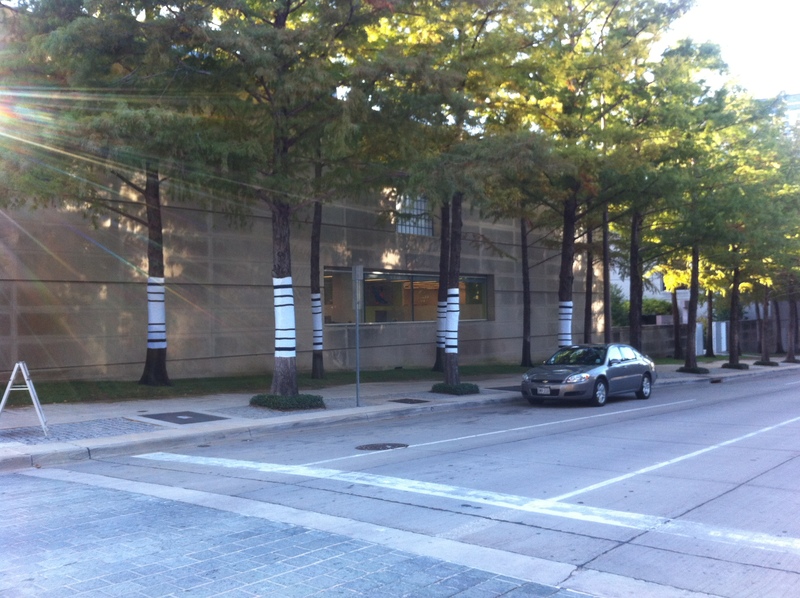 The trees outside the DMA were decorated for the Jean Paul Gaultier exhibit–which is a MUST SEE. I went the Thursday after it opened and I must have looked like a fool walking around with my mouth agape. BEAUTIFUL. 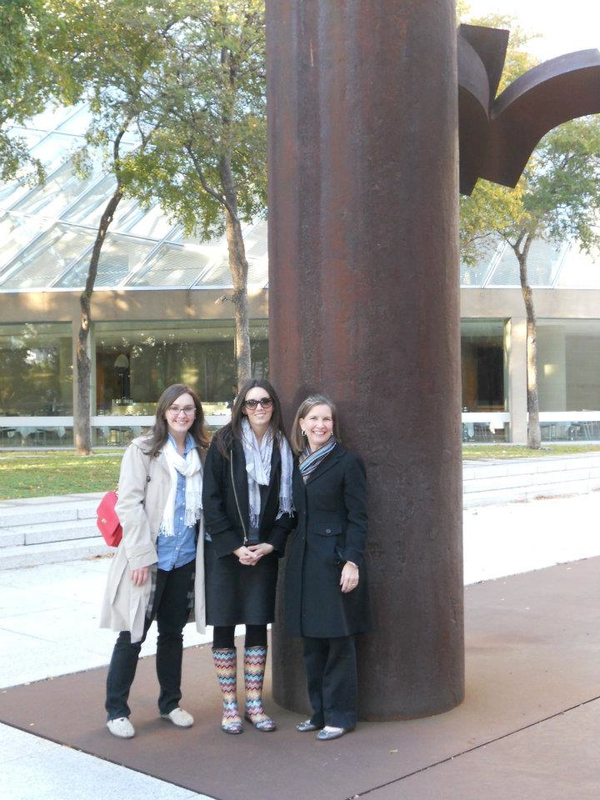 We strolled down to the Nasher Sculpture Center, my favorite Arts District building. Designed by Renzo Piano, it opened in 2003 and is truly a celebration of all the great work the Nasher family did for art and Dallas. 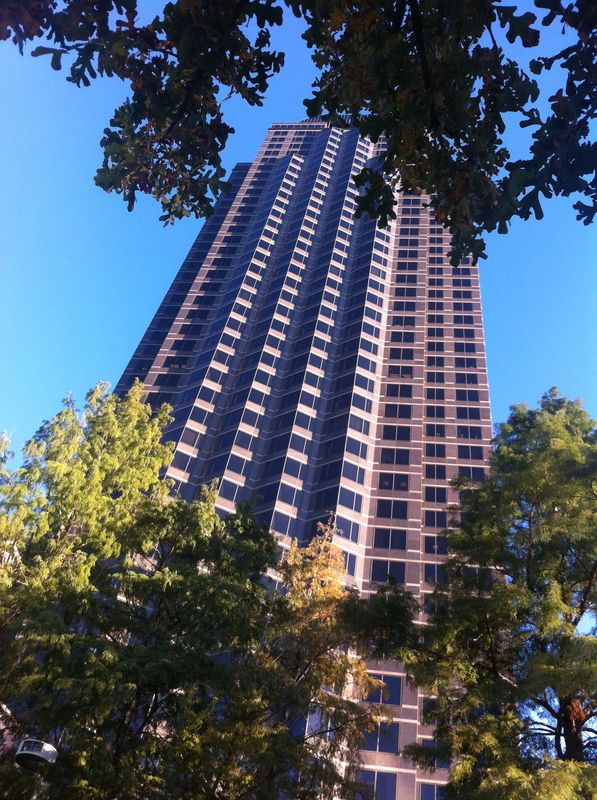 Then we turned around to see the high rise for the Crow Collection of Art. 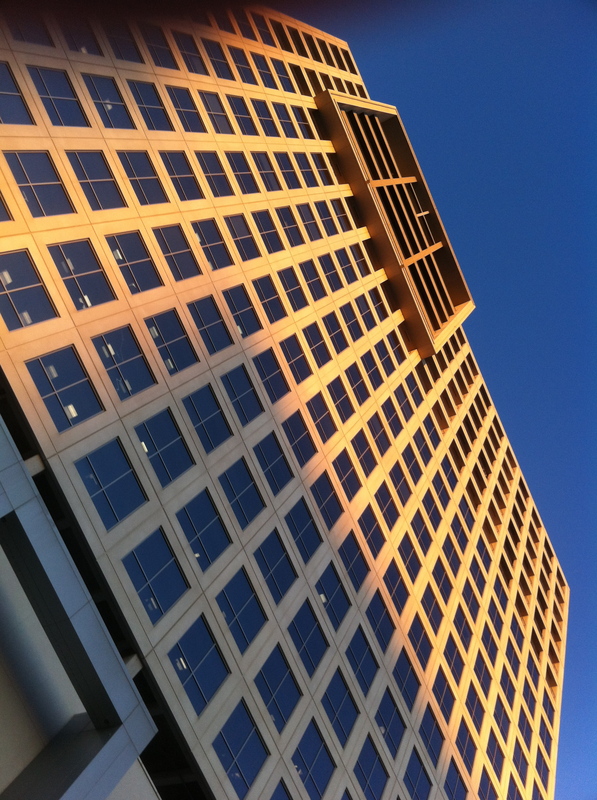 Fun Fact: this building was designed by Richard Keating, whom I’ve worked with on a recent project. It’s a small world after all. 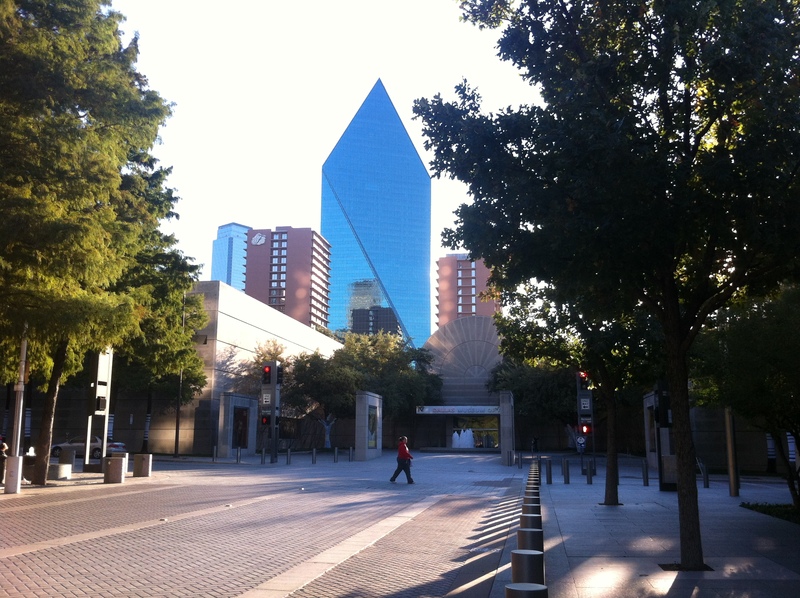 A look back at the DMA with Fountain Place, designed by I.M. Pei, in the background. Past the Meyerson, past the new Museum Tower under contrstuction, past Belo Mansion, we made it to the new Winspear Opera House. I’m dying to go inside, but that requires tickets. Our guide told us about the shading devices and how the architectural team at Foster + Partners did a year long solar study to see exactly where and how many shades were needed. It’s very effective and very light in appearance. 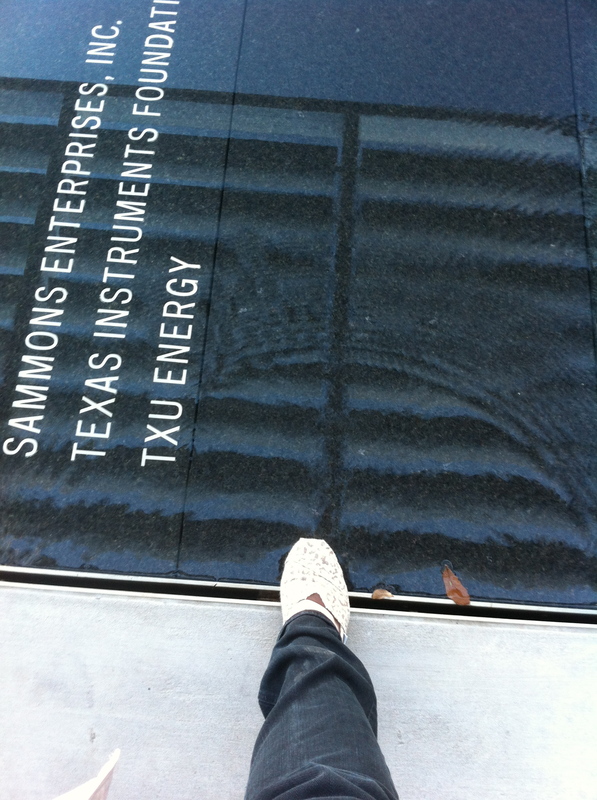 The water feature between the Winspear and the Wyly Theatre is very cool. We all behaved like children! I stuck my foot in. Isn’t that what they want us to do? If it were July, I would be barefoot. 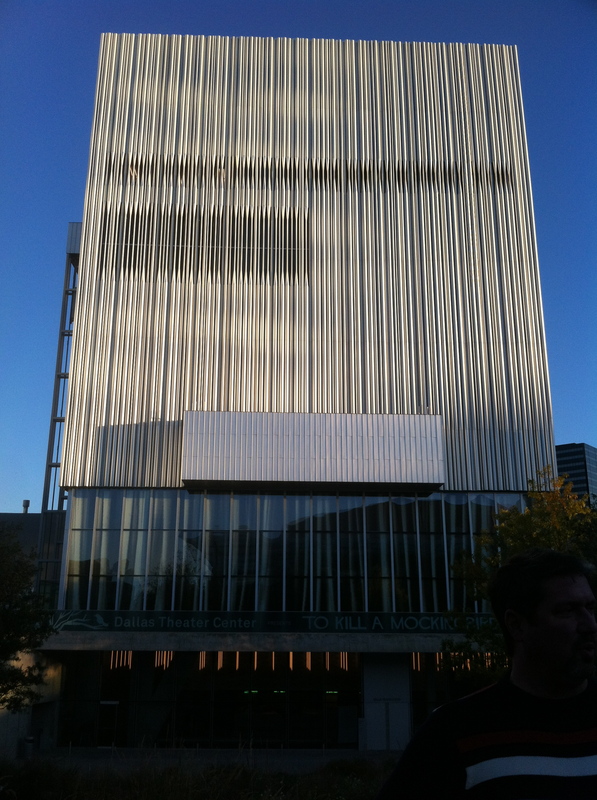 The Wyly Theatre is another building that an iPhone camera will not do justice to. This must be seen and person and I must gather up all my pennies to get inside. Apparently, there are multiple difference stage setups for different types of performances. Some of the seating works like a “basketball scoreboard” according to our guide. 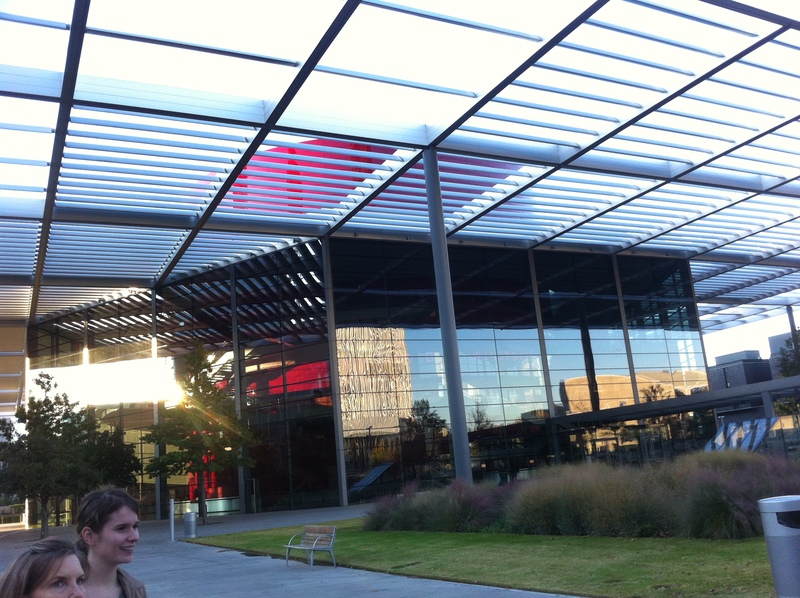 Ending at the other bookend, One Arts Plaza, home of the Knoll Dallas showroom and Tei-An for happy hour. 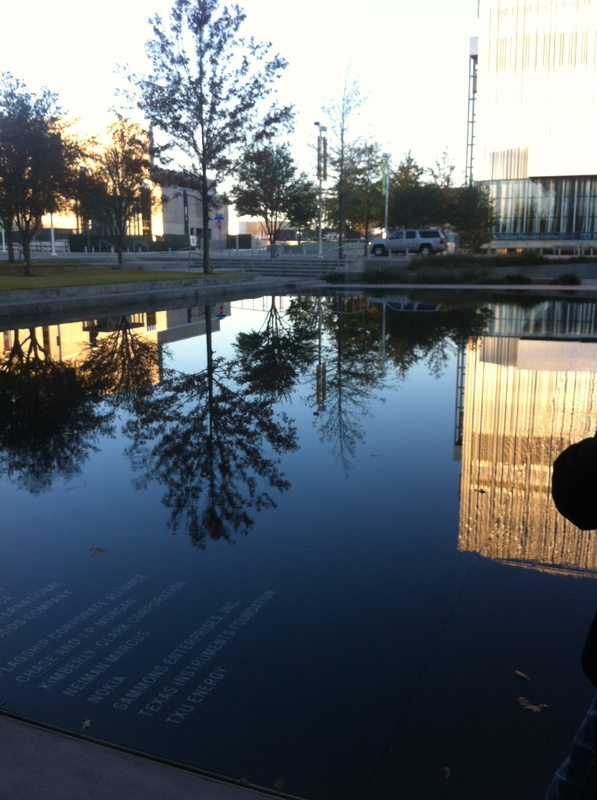 It was a great evening to walk around downtown especially in the mild Texas fall/winter. Contact the Dallas Center for Architecture to sign up!